The Wellington Group was founded by Ann Anastasio. Ms. Anastasio began her career as a Human Resources Manager in 1984 with the Austin Company, an international engineering and architectural firm. 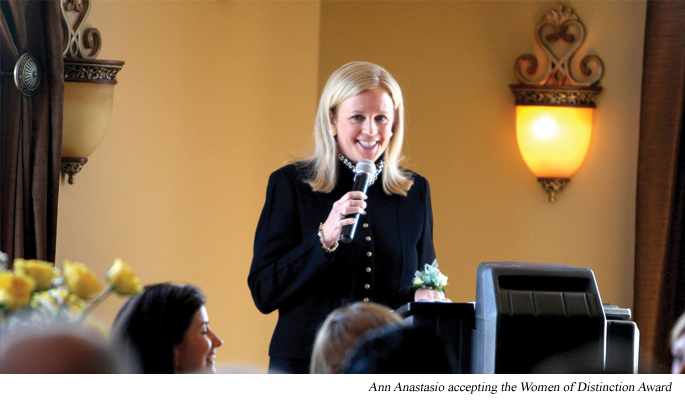 As her career progressed, Ms. Anastasio worked as a top rated Staffing Specialist for several Fortune 100 companies. As a result of Ms. Anastasio’s commitment to absolute customer satisfaction, quality and cost effectiveness, The Wellington Group has grown to become a leading firm that is universally recognized by its clients for its excellence and outstanding customer service. The Wellington Group is dedicated to referring only the most qualified professionals who possess the utmost integrity. They are loyal, hardworking, and committed to delivering results. We meticulously screen and evaluate all of our professionals prior to referring them to our clients. Our highly selective process includes thorough background checks as well as extensive personal interviews. We only refer professionals who are quick learners that can rapidly adjust to change, solve complex problems and work well independently and in team environments. Senior Human Resources Manager – Sun Microsystems, Inc.